Career: Built 1980 by A.Warskiego, Szczecin. Elder Dempster's Polish built standard type seen laid up in the River Blackwater, Essex. 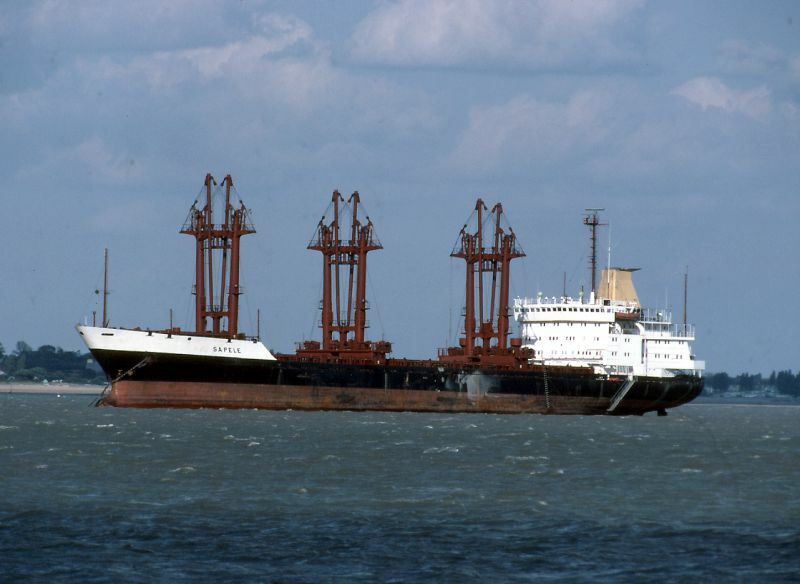 Renamed: ANTILLES-1986, SAINT PIERRE-1990, ASTRA SEA-1998, BULK TRADER-2008. Above: SAPELE laid up in the River Blackwater Date: 9 September 1984. Above: SAPELE laid up in the River Blackwater. Date: 26 August 1984. 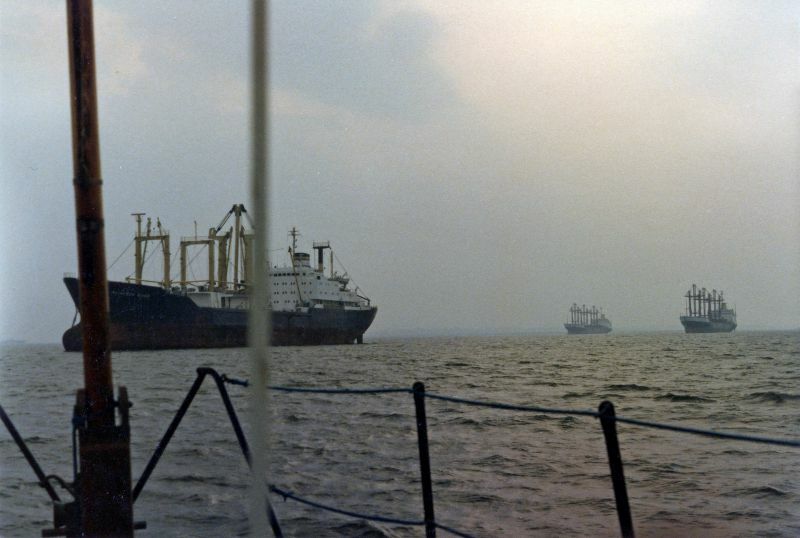 Above: Ships laid up in the River Blackwater. ALIAKMON RIVER on the left, with SAPELE and SOKOTO in the distance. 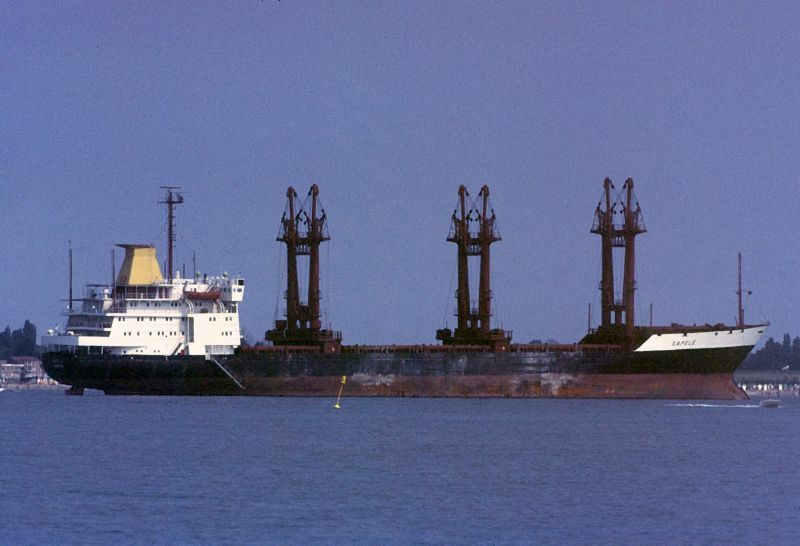 SOKOTO was in the river 1 August 1984 to 15 September 1984, helping date the photograph. Date: cSeptember 1984.